Located at 8029 Agnes Street in Michigan’s largest city, Detroit Vegan Soul serves up vegan comfort food that will indeed fill your soul! I grew up in Baltimore where soul food was all around me, but I was never able to try it because the dishes always seemed to have some sort of pork or lard in them. I had always felt like I was missing out on a very delicious cuisine. Imagine my delight upon the discovery of Detroit Vegan Soul – this was my opportunity to see what I was missing out on growing up. 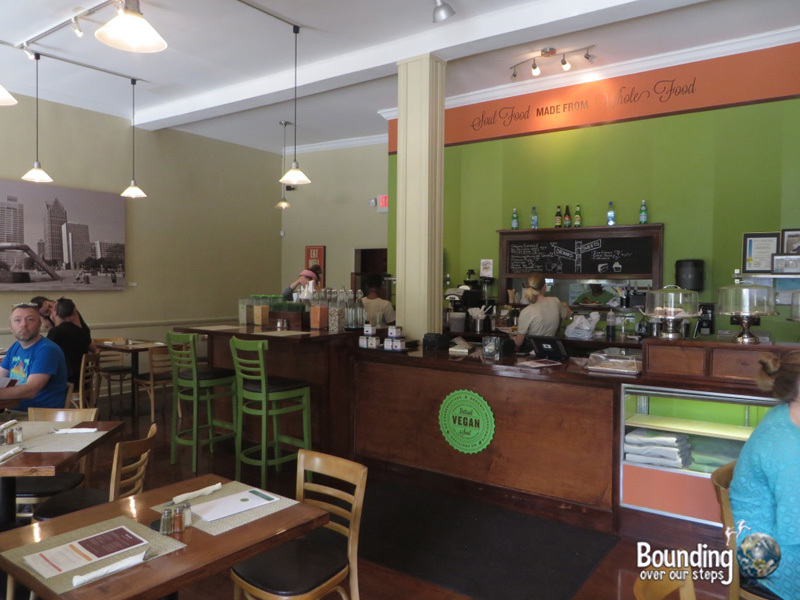 Mindy had never even heard of soul food until she met me and was also eager to try it. We were greeted right away by a friendly waitress upon entering the brightly colored restaurant with high ceilings. 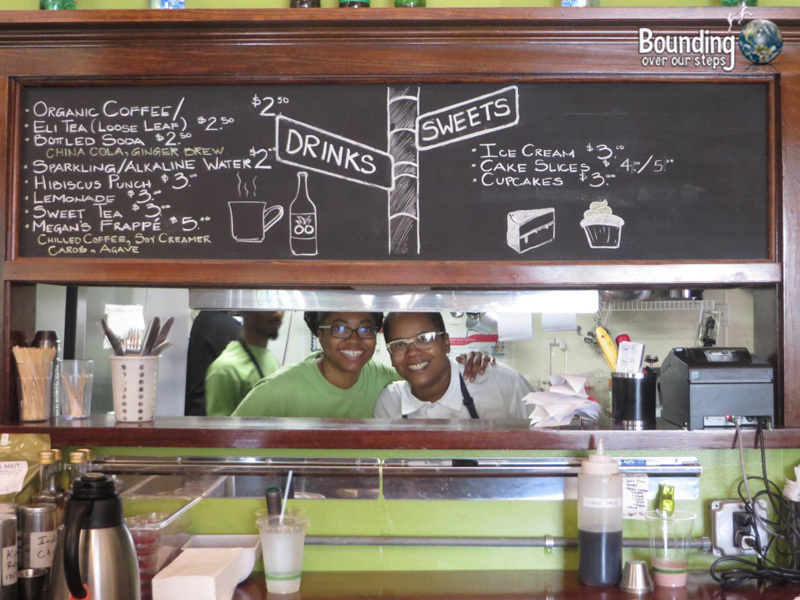 Detroit Vegan Soul boasts a vibrant atmosphere in a modern setting. Detroit Vegan Soul is owned by Kirsten and her wife Erika. They have a background in catering and made the switch to a restaurant a few years ago. They plan on being open for many more. The menu consisted of everything you would expect at a soul food restaurant: corn bread muffins, BBQ wraps, okra stew, collard greens, yams and an all-day brunch menu on Sundays. 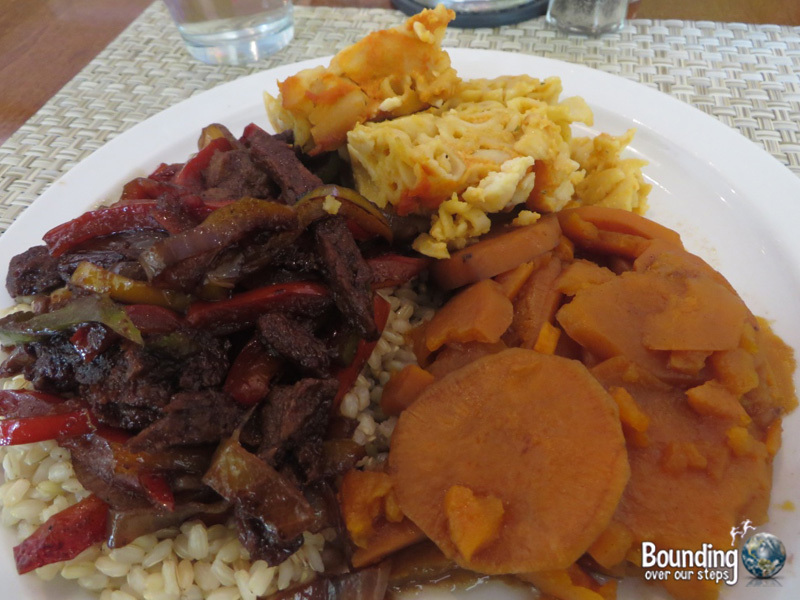 Being new to soul food, I opted for the soul platter and I was blown away by the flavors that came on the plate! To be honest, we did not care for the French toast cupcake, but we learned that it actually came from a nearby bakery and was not made in-house. We recommend ordering the in-house desserts because they are home-made by Kirsten’s mother. 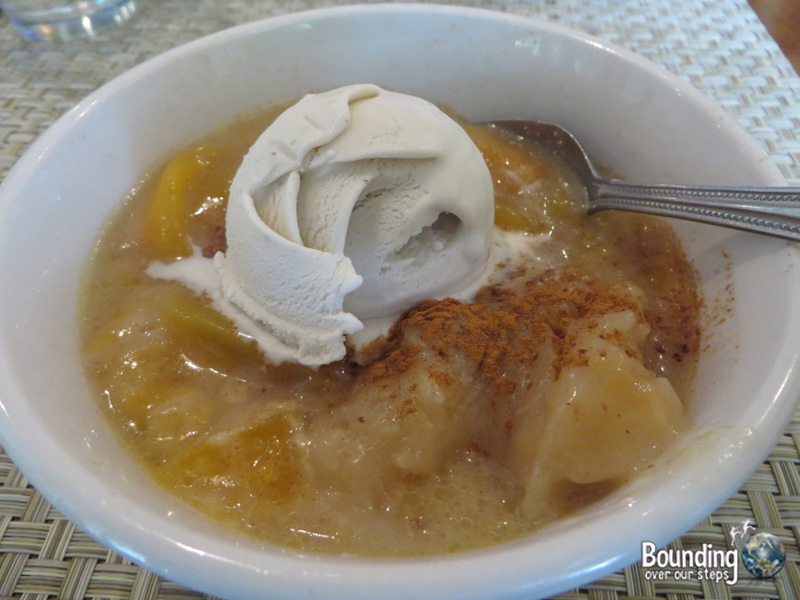 My peach cobbler was the perfect finish to a perfect meal! Our waitress, who was also vegan, was very friendly and answered any question we had about the menu. She made suggestions and was happy to tell us her favorite items on the menu, which were many. The food always arrived with a smile and we were never left waiting long. 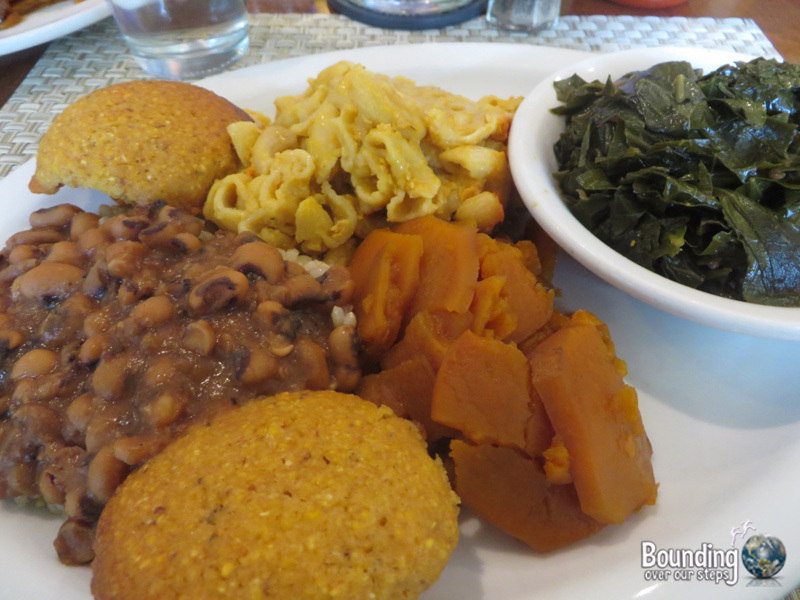 We found the prices at Detroit Vegan Soul to be very reasonable, especially when considering the organic ingredients and the care that goes into each dish. Also, the portions are generous, making us feel like we were getting our money’s worth. 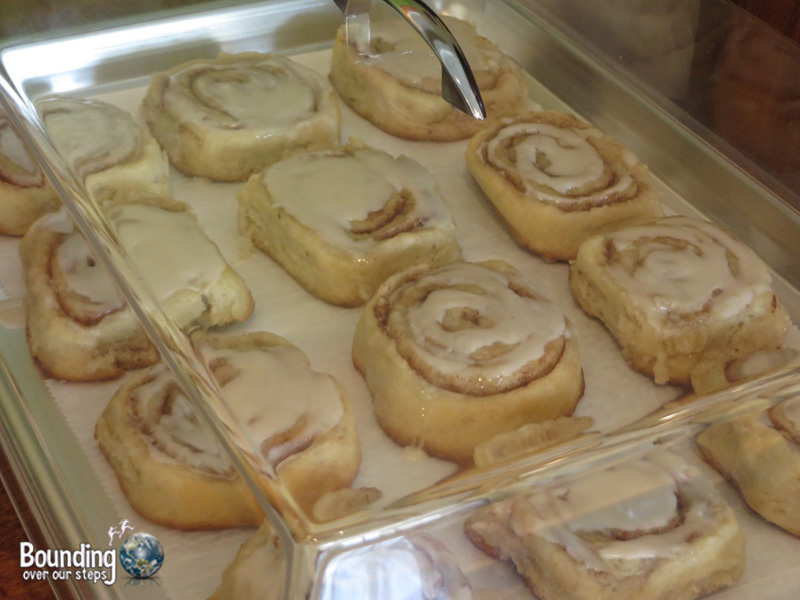 The next time we find ourselves in Detroit, Detroit Vegan Soul will be our very first stop! It was that good – one of our all-time favorite restaurants we have visited in the world!